This project proposed the demolition of existing buildings including a cinema and the construction in their place of a new 10-storey building with five basement levels occupying an entire city block to provide a 360 bedroom hotel (with ancillary facilities including function rooms, spa, three ground-floor restaurants and bars) and a two-screen cinema with 407 seat and 139 seat auditoriums (a slight variation to the description of the originally consented scheme). The site is designated in local planning policy as being located in a Landmark Viewing corridor; plus the Wider Setting Consultation Area of Protected Vistas at the Palace of Westminster; and in two aspects from Parliament Hill. Approximately one third of the building is therefore located below ground, maximising the floor area ratio and property value without creating an overly tall building that could otherwise impede protected views. 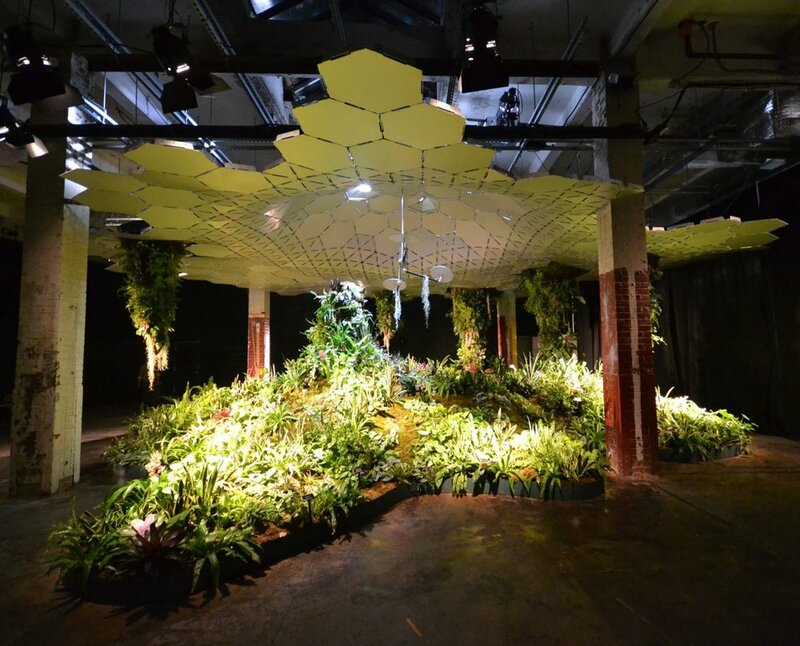 The Lowline (http://www.thelowline.org) proposes to use solar technology to illuminate an historic trolley terminal on the Lower East Side of New York City, in order to create an underground park. The site was opened in 1908 for trolley car passengers, but has been unused since 1948 when the service was discontinued. Despite such a long period of neglect, the space is said to still retain beautiful original features such as cobblestones and vaulted ceilings. It is also adjacent to an existing subway station to encourage people from all across the city to visit and enjoy the park, even in winter. Although funding and planning approval are yet to be finalised, the project appears to have strong public backing in principle. If opened in 2017 as scheduled, the Lowline could act as a game changer in people’s perceptions of underground public spaces. Crossrail is Europe’s largest infrastructure project, the new railway will cover over 100km of track including 21km of new twin-bore rail tunnels and nine new stations (all references this section www.crossrail.co.uk). When complete in 2018 the new railway will increase London’s rail-based transport network capacity by 10 per cent, reduce journey times, ease congestion and improve connections for approximately 200 million passenger journeys annually. The new rolling stock for the rail line will be around 200 metres long and able to accommodate up to 1,500 passengers. New Crossrail stations will be built at Paddington, Bond Street, Tottenham Court Road, Farringdon, Liverpool Street, Whitechapel, Canary Wharf, Custom House and Woolwich. The new stations are large scale, contemporary and technologically advanced facilities more akin to modern airports than train terminals.